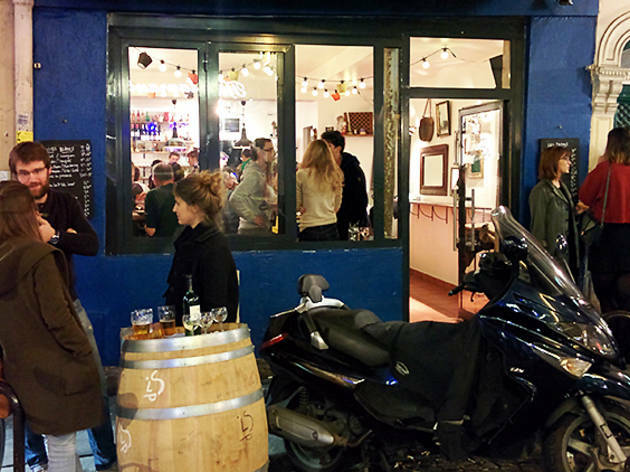 This popular, homey Montmartre bar has a keenly priced drinks menu. 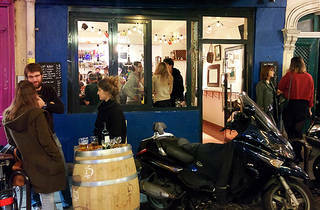 Cosy, fuss-free and unpretentious, the P’tite Soeur perfectly conforms to the cliché of the homey Montmartre bar. From the same team behind La Petite Chaufferie in the 10th arrondissement (hence the name, which means ‘little sister’), this address is the ideal spot to come for early evening drinks, filling up as it does with office workers every weekday from 7pm. Much like its elder sibling, both drinks and food are decent value, with glasses of wine or pastis from €3 and pints at €5.50. Aperitifs include an assortment of tapenades and bread from €3, garlic bread for €4 and pâté for €6. If you’re feeling a little more peckish, there are fantastic cheese and charcuterie boards to share – reasonably priced at €13. The bar also receives regular fish supplies from seafood delivery service Poiscalle, including various shellfish, plates of squid and a dish of fleshy, appetising lobster (€20). The P’tite Soeur’s merry atmosphere, competitive pricing and affable staff make it a popular haunt – and rightly so.